Brian is one of the country’s most sought-after stand-up comics. He has taken the comedy world by storm with his insightful views on what people find funny. The laughs come fast and frequently, since he has spent the last 18 years honing his craft at clubs and theaters across the country. Brian specializes in giving every audience a hilarious and singular comedic experience. His unique talent consists of clever material and unparalleled audience interaction, which he combines seamlessly with his lightning quick wit. Brian has incredible instincts and an undeniable ability to make audiences laugh. Sounds great, right? Of course it does, Brian wrote it! In 2013 Brian won the prestigious Comedy 10K involving 72 comics from 14 states and Canada! 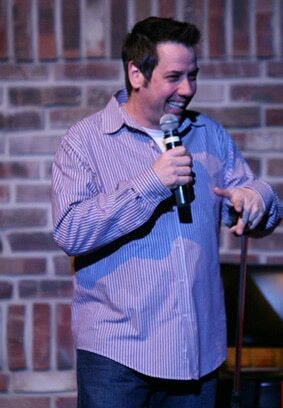 Some of the clubs Brian has performed at include Zanies, Improv, Funny bone, Penguins, Wiley’s, Snickerz, Comedy Club on State, Goonies, Comedy Cage, Jukebox and Dr. Grins. Some notable comics Brian has shared the stage with include Daniel Tosh, Louie Anderson, Kevin Nealon, Craig Ferguson, Gilbert Gottfried, Norm Macdonald, Rob Schnieder, Tommy Chong, Bill Burr and Robert Schimmel.